Love Mantis? then here you go with an amazing finger puppet of Praying Mantis. You can trust this mantis as it is not going to hurt you at any cost!!! the Mini Praying Mantis helps a lot against garden pests. 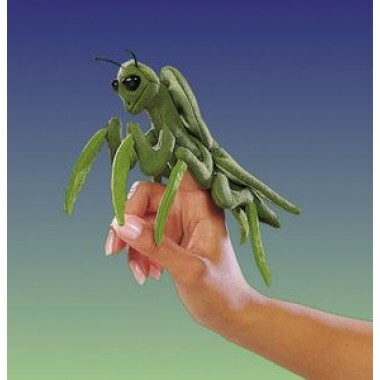 You can use the praying mantis finger puppet as in interactive stage and puppet theater or some small performances in your school. This praying mantis is very much used widely in day care schools, junior schools or some small theater shows. Don’t wait buy one now.